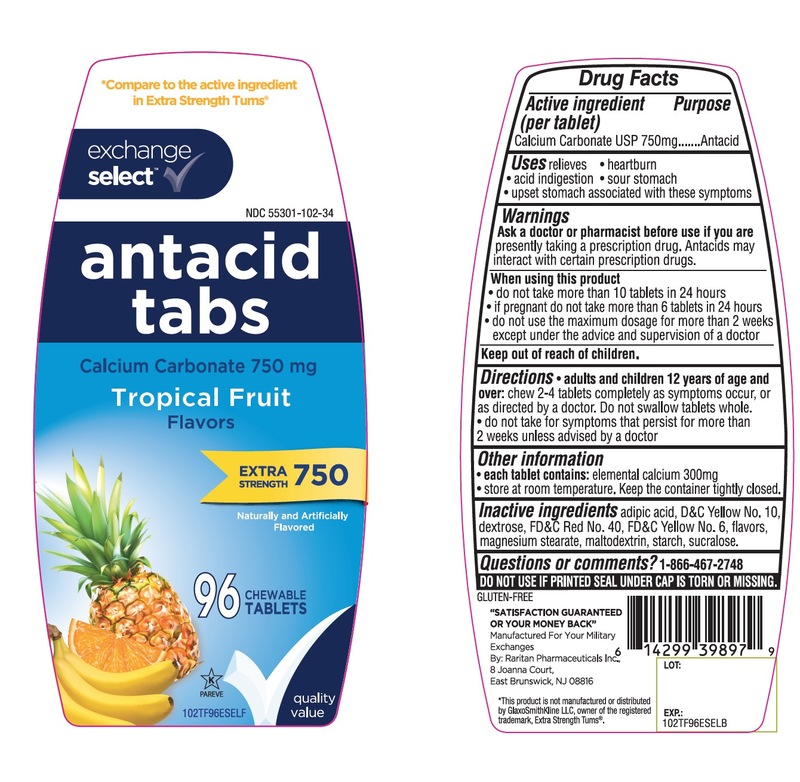 Proprietary Name: Exchange Select Antacid Tropical Fruit What is the Proprietary Name? Exchange Select Antacid Tropical Fruit with NDC 55301-102 is a a human over the counter drug product labeled by Army And Air Force Exchange Service. The generic name of Exchange Select Antacid Tropical Fruit is calcium carbonate. The product's dosage form is tablet, chewable and is administered via oral form. Presently taking a prescription drug. Antacids may interact with certain prescription drug. Adipic acid, D&C Yellow No. 10, dextrose unspecified, FD&C Red No. 40, FD &C Yellow No. 6, flavors, magnesium stearate, maltodextrin, starch, sucralose.